During the period of June 1961 continuing on to February of 1966, a United States facility was developed and assigned the name, Cheyenne Mountain Air Force Station. This facility is populated by a total of 1, 500 employees. The establishment is effective in monitoring the air activities in the atmosphere for incoming targets from belligerent foreign assailants. For adequate security and reinforcement, the Cheyenne Mountain Air Force Station was built with 3/8 inches of solid steel plates made of welded carbon along with baffled steel and concrete bulkheads. 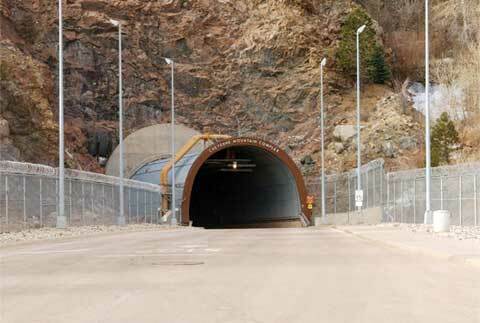 The Cheyenne Mountain Air Force Station is controlled by the Canadian North American and United States Aerospace Defense Command. The Peterson Air Force Base hosts the headquarters for both organizations. The facility contains a variety of teams that are professionally trained and educated on all aspects of nuclear attacks and is known to be one of the largest underground connections worldwide. The United States is fully knowledgeable of these weapons of mass destruction contained and has acknowledged, that a hit from their own weapons would be devastating. A total of 15 steel facilities are contained within the installation on an estimated land form of 4.5 acres of land that is located on the mountain grid. 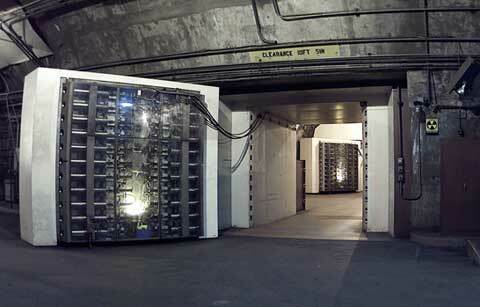 Access to this installation is only permitted through 30 ton blast doors and adjoined by a tunnel. The buildings stand prominent on a total of 1, 300 firm 47” steel springs that will exhaust the nuclear detonation shock. The installation is constructed to maintain a total of 6 million gallons of water and 30 days supplies for emergency escalations. A similar facility is nestled in Nebraska at the Offutt Air Force Base and is the emergency response institution assigned for failed missions at Cheyenne Mountain Air Force Station. Worldwide, individuals are grateful of the effort and jobs criteria’s maintained by these facilities to keep the country alert and reinforced.